TV shows make it look easy. Slap a subway tile shower together in 10 minutes and call it a day, right? There’s a lot to building a subway tile shower, especially if you want to do it right. Today’s video shares the general steps needed for a successful shower build. Lately we’ve fallen in love with KBRS’s ShowerSlope. It consists of a shower pan, curb, and backer board. The ShowerSlope Kit comes with everything required to build a walk-in shower except the backer boards. Wedi also makes a good system called the Wedi Fundo Primo. Their kit comes with the boards but costs about twice as much as the ShowerSlope. 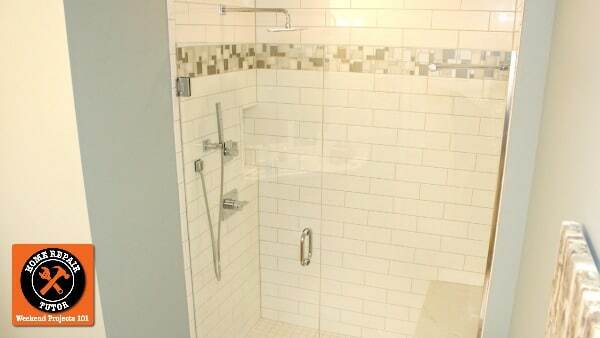 Finally, Schluter’s curbed shower system is also great. It’s comparable to both the Fundo Primo and ShowerSlope but comes with Kerdi membrane. Once the shower is waterproof, we plan the shower floor tile layout and set that tile using a modified thin-set. Ardex X5 or X77 are great options as is Mapei’s Kerabond/Keralastic. Let the tile set up over night then start tiling the main shower wall, followed by the shower bench wall (if there’s a bench), and finally the plumbing wall. 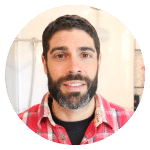 As I said in the video, Bathroom Repair Tutor has all our videos showing how to build a subway tile shower. If you’re in the middle of a remodel or about to start one, our videos in BRT are very helpful. We’re super proud of BRT members like Anthony who never remodeled a bathroom yet got awesome results.